Driving is a privilege, not a right, yet so many who drive dangerously seem to become increasingly unaware of how being an unsafe driver can affect others and themselves. 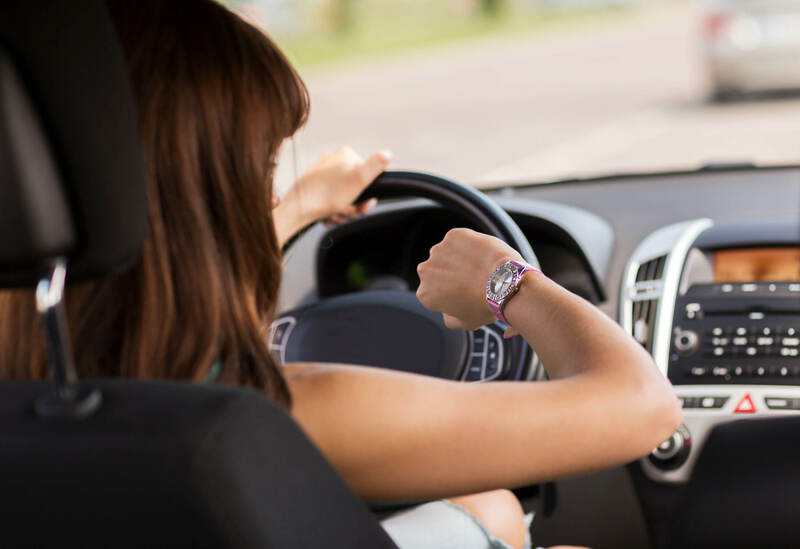 Though driving gets us from point A to B much more quickly than walking does, it’s important to take safety precautions when you’re on the road. Not only should you look out for yourself, but for others as well. Getting behind the wheel while under the influence has major consequences that can lead to being fined, jailed or even death. While on the road, keep these tips in mind so that you and everyone around can reach your destinations safely. Also known as cannabis, Marijuana significantly reduces motor function, reaction time, concentration and is the most commonly found substance in drugged drivers. According to the National Institute on Drug Abuse, those who were found to contain THC in their blood supply were proven to be more responsible for a car accident than those who didn’t consume anything at all. Sedatives have a similar reaction-time to marijuana and induces drowsiness and intoxication. Other signs are an inability to focus, follow directions and poor psychomotor function, which can last from 4-24 hours after taking the drug. Cocaine, or ethylbenzoylecgonine, has the opposite effect to the central nervous system, promoting stimulation, which causes aggression and nervousness when driving. Those suffering from withdrawal symptoms may also develop accident-causing impairment, such as irrational actions and disorientation. According to the National Council of Alcoholism, in 2013, 9.9 million people admitted to driving under the influence of drugs. In knowing the causes and the symptoms of these forms of substances and the like, we can deduce that a healthy lifestyle is very beneficial when it comes to getting behind any type of vehicle. Whether you take medications or enjoy a drink from time to time, any type of hindrance to your motor functions can occur when ingesting a substance. When it comes to hard drugs, simply saying no will keep you out of harm’s way and trouble. In the United States, a drugged driving offense can land you in prison and cost up to $13,500 in fines. Good nutrition is no doubt, a safer bet than taking dangerous drugs. It can also have a profound effect on ridding the body of unhealthy toxins as well as providing more energy and alertness for driving. In fact, a healthy nutrition program, followed by proper hydration has been proven to help addiction recovery addicts to greatly reduce their dependency levels. Fatigue is a common side effect of many drugs, often accompanied by lack of sleep. When behind the wheel, the two can become a deadly combination. However, the more rest you get, the less accidents will occur. Driving while taking tranquilizers and marijuana can cause drug-related fatigue, as well as the inability to notice when you are drifting off behind the wheel. Cocaine also causes fatigue, as part of its withdrawal symptoms, despite the high you may feel while on it. Get plenty of rest and if you have drowsiness-causing prescription medications on hand, abstain from taking any until you’ve made it safely home or plan not to drive at all until it’s left your bloodstream. Healthy driving habits are something that we should all partake in. Never drive under the influence of drugs and you’ll help to create better, safer conditions on the road.